He’s an author of about two dozen books and says: “The future of publishing is about having connections to readers and the knowledge of what those readers want.” Seth Godin pioneered the idea of permission marketing. He’s a storyteller in written and spoken formats. You can find him at his blog, where he upends the old adage that more is better. Sometimes he writes only a relatively few words, yet gets a ton of attention. His latest book, This Is Marketing, takes a look at the modern marketplace and teaches us that you can’t be seen until you learn to see. Seth says one way brands set themselves apart is through their story, or their brand. Social media can be powerful. It has given a lot of people a voice, especially those who didn’t have a voice before. It’s broadened horizons for storytellers around the world. However, it’s a double-edged sword. As a storyteller, you have to know going in that your audience is not your customer in the eyes of the social channels. You don’t have that ownership. We’re all just products. The other downside to social, according to Seth, is that where once we had people creating original content and making things better, we now have social media turning us into dittoheads simply liking and sharing other people’s content. It’s time to get back to creating. We all have the chance as storytellers (and business people in this season of storytelling) to make a change for the better. We can improve people’s lives. Or we can tell ourselves that we’re average, and let our story be mediocre. Seth says we have the power to own our story. If you liked the show, please consider leaving a review (and rating). Also, sharing is caring! Please share this podcast with your friends, family and network. 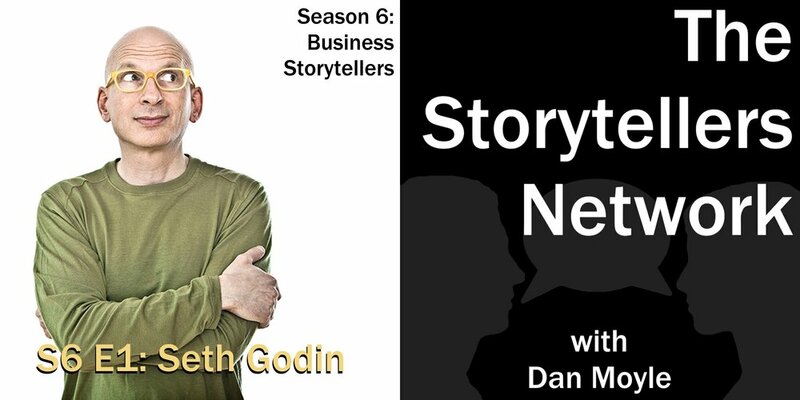 The Storytellers Network with Dan Moyle publishes every Monday at 7 AM EST.